The Data Center Optimization Initiative (DCOI) enforces data center efficiency and promotes the implementation of virtualization and cloud services as a way to reduce overall data center spend. Quarterly federal agencies must report their data center inventory submissions and optimization metrics which are Energy Metering, Power Usage Effectiveness, Virtualization, Server Utilization and Automated Monitoring, and Facility Utilization. 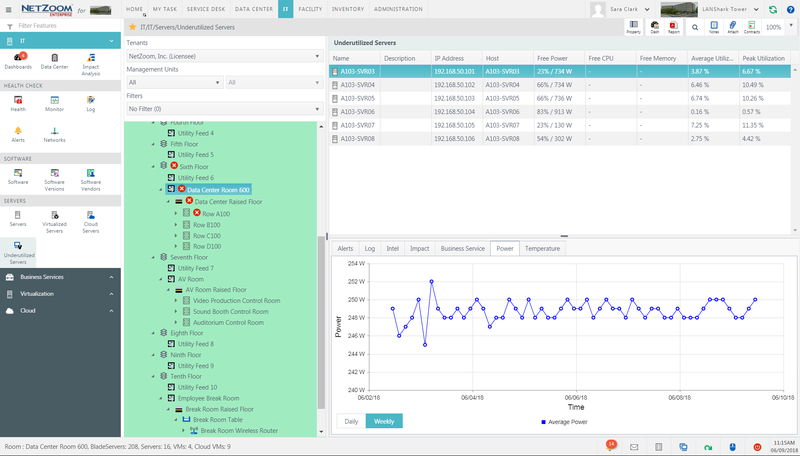 NetZoom’s dashboards and reports help prepare the required data for submission. 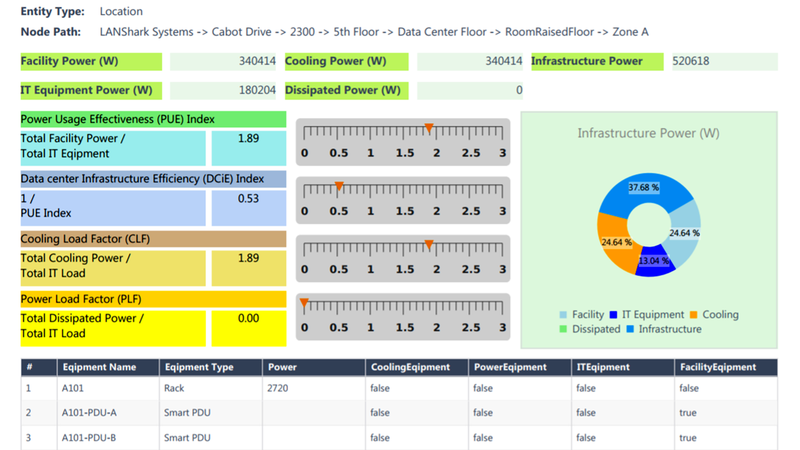 Federal Data centers must deploy advanced energy metering capable of tracking Power Usage Effectiveness (PUE). The target is for 100% of the agency’s tiered data center inventory to be located in data centers that have power metering. All federal data centers must be able to achieve at least a PUE of 1.5. The Virtualization Metric target is (4:1) so that there are 4 or more virtual servers for every single physical server instance. In addition to reporting the ratio of virtual machines to physical servers, NetZoom can also manage the hypervisor applications and cloud instances. The metric for Server Utilization is that the Average Server Utilization must exceed 65%. Underutilized servers are a prime target for virtualization to meet the Server Utilization metric. 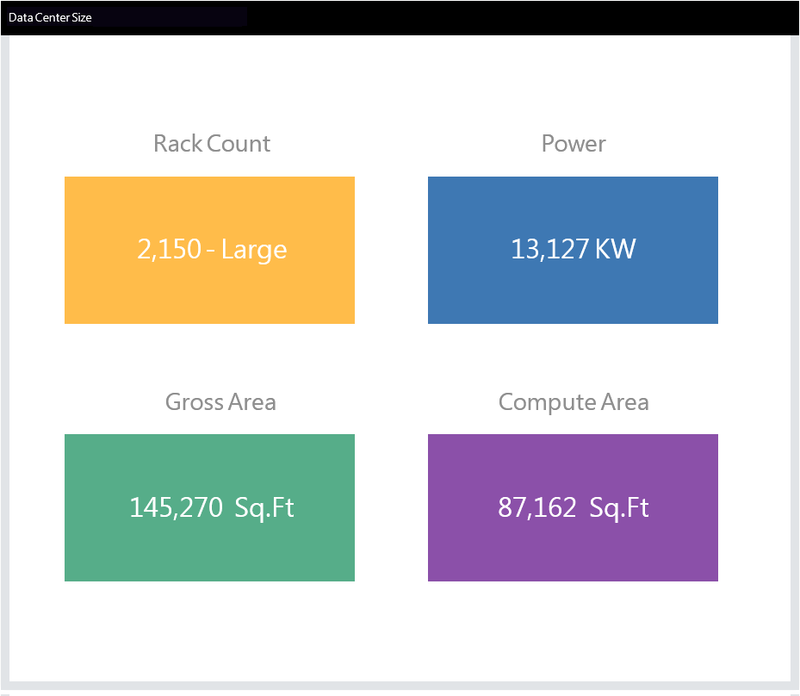 The target metric for Facility Utilization is that at least 80% of total floor space available for IT equipment should be used by the data center’s IT racks.